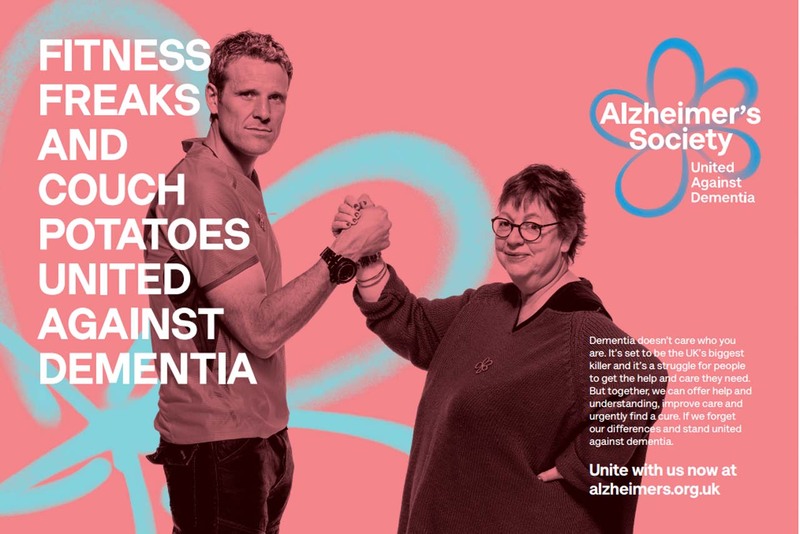 The people of the UK are being urged to forget the things that separate them and unite to tackle what is set to be one of the biggest health and social challenges of the 21st century, in a new brand campaign from Alzheimer's Society. The campaign, "United against dementia", was created by McCann London and depicts pairs of people, divided by factors including age, social background and views on Brexit, who eventually come to stand together with a common purpose. Figures from the Office for National Statistics last November revealed that dementia, of which Alzheimer’s is the most common form, had overtaken heart disease as the most common form of death in England and Wales. But the Society said that there was no cure, and many people currently face the disease with inadequate support. The TV spot debuts tonight at 8.55pm, simultaneously on ITV and Channel 4, preceded by a co-branded intro – the first time the broadcasters have worked together in this way. The spot was created by McCann’s Mike Oughton and Dan Howarth, directed by Oscar-nominated Daniel Barber through Knucklehead, and features a voiceover from Bill Nighy and an original score by Will Gregory of Goldfrapp. The four-week TV run will be supported by print and digital. Hearts & Science is handling the media planning and buying. Vivienne Francis, director of marketing and current affairs at Alzheimer's Society, said: "Dementia does not care who you are. It will affect us all and is set to be the 21st century’s biggest killer. The campaign reflects some of the realities of society, taps into uncomfortable post-Brexit truths and challenges assumptions by showing that everyone can – and needs – to come together in the face of dementia."